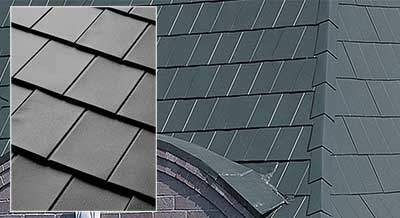 Metal Roofing Built for the unique Ohio climate. For such a green and gently beautiful state, Ohio’s weather can sure be unpredictable from time to time and that can be rough on a roof. First, there are tornadoes. We’ll be the first to admit it: tough as they are, our metal roofs won’t beat a direct hit from a real Ohio twister. But then, just about nothing will. As long as you’re not directly in a tornado’s path, though, a quality metal roof, properly installed, gives you a far better chance of coming through with your roof intact and in good shape. Ohio snows can be a big concern, too. Especially if you live in a “lake effect” zone. Since a metal roof is substantially lighter than other types, it makes it much easier for the framing that carries all the weight to do its job when heavy snowfalls come along. The design and coatings on some styles of metal panels also let accumulated snow slide off more easily. Weather’s not the only thing that tends to change in Ohio. When you travel from farm country, to towns of any size, and on to big cities, the look and feel of the neighborhoods you see changes dramatically, too. 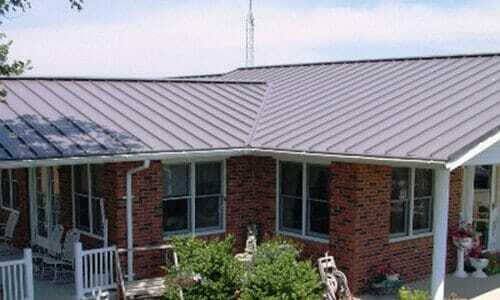 But no matter where you happen to live or do business, there’s a metal roofing style that’s going to fit right in. One thing that doesn’t change is a metal roof’s value. 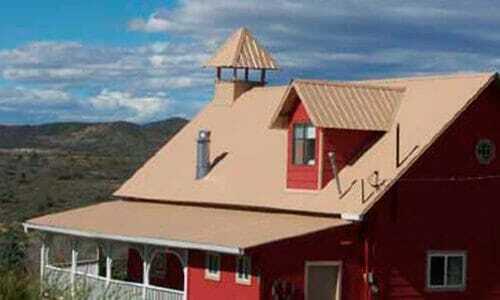 Whatever style you choose, it’s going to outlast other roofing solutions by a healthy margin. 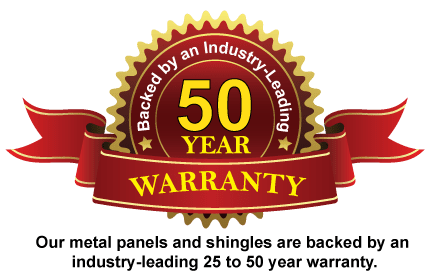 In fact, many of the panels we offer carry warranties of up to forty years. Try that with asphalt shingles. Whether you’re up north in Toledo, Cleveland, Ashtabula or Akron, mid-state in Columbus, Dayton or Springfield, or down Cincinnati way – in fact, anywhere across the state – we’re set up to provide you with the roof that best meets your needs. Just visit our design and service center. We’ll answer your questions honestly and set you up with the roofing you really want, at a price that fits your budget. Then we’ll deliver your order direct to your job site. And we’re always ready to assist you, from job start to job done. Our prices apply anywhere in the state, but there may be shipping restrictions to some areas. You can click here for details on shipping to your specific site. Get instant online pricing that includes shipping.